The colloquium was organized as part of activities marking the 80th birthday of Chief Bisi Akande, former governor of Osun state and interim National Chairman of the ruling All Progressives Congress (APC). Osinbajo, who was the Chairman of the day, noted that the colloquium organized to mark the 70th birthday of Chief Akande 10 year ago was an occasion “to reflect on the electoral fraud perpetrated by the PDP in the 2007 general elections”. El – Rufai said, “To help to give substance and structure to the debate on restructuring, and, perhaps, transform the erstwhile divisive discourse on federalism and restructuring into a nation-building event. “Therefore, I am delighted to share my thoughts on Restructuring on a day and at an event in honor of a man for whom it represents a matter of principle. I hope that we can all agree that Restructuring is an important matter, despite the tendency of certain sections of our elite to trivialize it with their opportunism. “Rather than the hard graft of solving our governance problems, this group would rather grab headlines and mouth sound-bites at opportunities like this. You can almost sense that this person actually dread restructuring becoming public policy, having succeeded in living off a serious national imperative for so long. We must be mindful of this class of people”. He maintained that President Muhammadu Buhari-led APC government has unleashed the great potential of this country, adding that “we can still do more”. 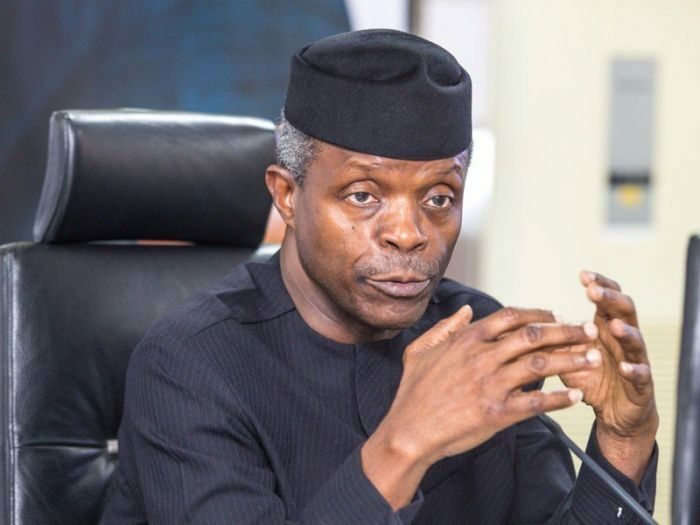 The post 2019 Election: Don’t Allow PDP Return To Power Again – Osinbajo Tells Nigerians appeared first on Naijaloaded | Nigeria's Most Visited Music & Entertainment Website.